There are some rules and guidelines that you teach your dog to live with you in your house, once you have made the rules then you want your dog to behave like you wish for that you need to teach the rules to your dog. For that you need to think that how you want you dog to live with you to three to four years you will agree to put up some things now while she’s a child she seems to be very innocent and cute. But are these things are ok for the future or will they irritate you later on? In your mind what is the future of your dog when she is old enough what do you want her to do or not to do while living with you. 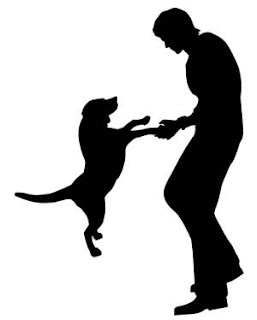 The first rule which you want to set for your dog is house training of course you want your dog to relive her self at the area where you want her to go either you want her to go to a specified area or on leash and she should never relive her self with in the house. You want your dog that she should never dash out the doors with out your permission either to front or garage. As you know dashing out from front could make several problems that she could make her self injured by running into the street or if she is breed by nature she could injured some one else teach the dog how to stay in the house. Some people irritate while there dogs are climbing on the furniture and some of them are don’t mind for that you need to tell your dog to come down while she tries to sit on the furniture you have to do this in early days because once she got an habit it will really be difficult to make her understand. Many people don’t allow there dogs to come in the kitchen but some dog owners use the kitchen as an exercise pen and want that dog spend some time in the kitchen because it is easy to clean and some who don’t want them to be in kitchen at the time of cooking so it is difficult for her to understand the scenario or raid if she is not allow in the kitchen at all you have to make a decision earlier. Which room you want your lady to not be in do you want her not to come in dinning room or living room or in the room of kids it is fine to restrict her to not go in all room just close the doors or put baby gates to stop her. Some dog owners don’t allow there dogs to sleep in there room the dogs have there own sleeping room where they should make them self comfortable and should sleep there some dogs are very attached with there owner but don’t allow them to sleep on your bed because some other important person sleep there so it is not good to make the habit to sleep on your bed. Is there any ting that you want to add or you want your dog to do or not to do for that just look at your house and think what else you or your family want the dog to do and what you want to add in household rules that every one in your family agrees on because it is important that your family should participate when making the household rules it will be easy to implement them once you have decide the rules call the family meeting and tell them the rules and enforcing them. Motivate the family members to work together and teach the lady.